Your shower pan can cause leaks that have the potential to permanently damage your bathroom, which is why you should call the water damage Lebanon specialists at 911 Restoration Middle Tennessee as soon as you notice any signs of leakage. It is important for us to be there for you the moment a water based incident strikes, so we can provide you with same day services to minimize the damage. 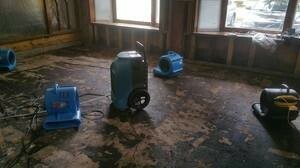 So, call us today and our Lebanon flood damage restoration professionals will provide you with a free home inspection. If you have a damaged shower pan than it can cause water to leak out and cause significant and costly damage to the floor and walls of your bathroom. There could be a crack or a tear in the membrane, which requires immediate repair in order to prevent a major flood. You can call us any time of the day or night, because we keep our office available 24/7/365 in order to accommodate your every need. If this turns out to be the case, then it is important for homeowners to understand that no amount of sealant or patching will correct the issue. These temporary fixes will eventually wear out and the leakage will return. The only way to create permanent fix is to replace the entire shower pan. Our water damage Lebanon techs are qualified to repair any damage that has been created due to these leaks, so call us today and we will go the extra mile for you and your home. The emotional wellbeing of our customers is always our most important priority. 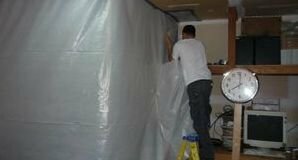 We understand how difficult this time can be, and our water damage Lebanon team want to make the whole process easy for you. When you contact our Lebanon leak repair pros, you can rest assured knowing that within 45 minutes or less we will be at your door ready to get to work. We do this by taking care of everything. Not only do we handle every aspect of the renovation, but we also work with all insurance companies. Our Lebanon plumbing staff will file your entire claim for you, including submitting all the information needed to get you the best coverage possible. Call our water damage Lebanon team with 911 Restoration Middle Tennessee as soon as you notice a moisture issue in your household and you will get you affordable and efficient water damage restoration today!